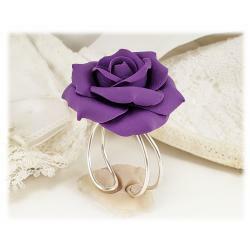 This uniquely crafted Purple Picasso Calla lily ring features a small sculpted flower created from clay decorated with a Swarovski pearl or crystal of and wrapped with a silver tone filigree on an adjustable 925 sterling silver base. 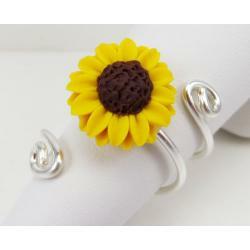 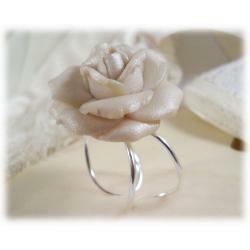 -Ring Base: Thick 925 sterling Silver, can be squeezed for adjustment but does not bend easily. 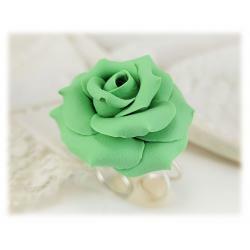 -Different color combination from Color Palette can be made on request.